Your company may be interested in securing an accounting partner to assist with DCAA compliance and deliver consulting projects on an as-needed basis. Govcon Accountants can help your company to improve and maintain your Quickbooks accounting system to be DCAA-compliant and provide our expertise to serve as your company's DCAA consultant in all matters with DCAA. We are able to assist and manage your DCAA audits. Typical audits include the Pre-award System Survey, Voucher Audit, and Incurred Cost Submission Audit. We can configure your Quickbooks to be DCAA-compliant. We will provide you with a detailed scope of work and a fixed price for the work. You may want us to train your accounting staff on the month-end closing procedures, required by DCAA and then have use review their closes on a monthy basis. 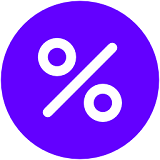 We can assist in developing your price proposal by forecasting your company's indirect rates, which can be used to build up your bid rates for your contract price proposal. We recommend that you complete at least one indirect rate budget each year to ensure that you operate your company at a profit. Also helpful in contract pricing. If required, the Incurred Cost Submission is due 6 months following your fiscal year end. It can be quite involved and we can provide training or complete the submission for you. Provisional Billing Rates are required to be submitted and approved by DCAA at the beginning of your fiscal year if you have a cost-reimbursable type of contract.